Think France, and often visions of luxury follow. Not only stuff like the Chateau de Versailles, Louis the 14th, Paris or Champagne, but also products like high end watches, fashion, expensive wines and food, luxury hotels and the French Riviera. For a lot of things, being French gives an image of class, luxury and aristocracy. Look at Louis Vuitton, Moët Champagne, Cognac, Hermès or Michelin stars. Yet today, when you look at the French car industry, it is year upon year of promises and attempts to go into the luxury segment, but it always ends in pretty shocking failures. (Let’s just disregard Bugatti, as much as I would like to say it is French, it is still mostly done by Volkswagen). France has one of the greatest automotive histories in the world. After all, they invented the automobile, in 1769 with Nicolas Cugnot. Yes, it may have been steam-powered, and it may have crashed a couple of times, but the fact is, it was the first auto-mobile. Come the late 19th century, early 20th, French car manufacturers were all over the place. 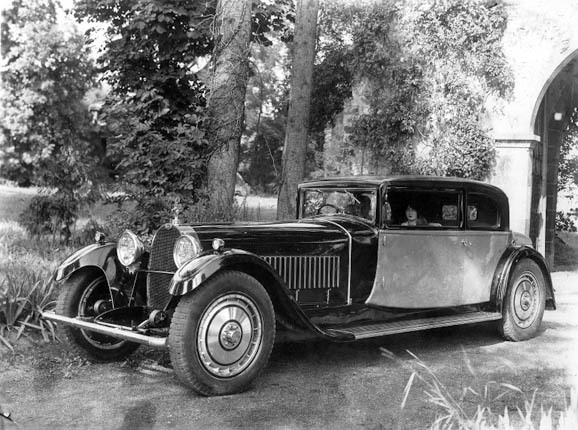 The usual players were there, Peugeot, Citroՙën and Renault, but also more exotic material, like Bugatti, Delahaye, DeDion-Bouton, Panhard, Delage or even Hispano-Suiza. Remember those names? If you do, what cars do you imagine they were? Yes, that’s right, it is mostly expensive luxurious vehicles, the type you would imagine only the finest and richest aristocrats would buy. Not sure about this? Look at this clip from Jay Leno’s Garage and a 1938 Hispano Suiza. Fast forward a hundred years, and what do we have? The Dacia Logan (it is French, designed and engineered in Guyancourt, outside Paris). So what happened? After all, France has all it needs for a luxury car brand: the image, the history and the craftsmanship. A few things happened in fact. For one, the Great Depression. That wiped out a lot of those eccentric car manufacturers, who would make vehicles out of ivory and peasants’ skin. Then there was the Second World War. What ensued there shattered any hopes of having a luxury car lineage. When France was rebuilding, the government took control of a lot of things. One of those was the car industry. Now, during the famous “Trente Glorieuses”, the idea was not of opulence, but of making the working man happy. What the working man needed was a simple car, not a car made of pure gold. So the government took all the manufacturers in France, or what was left of them, merged them into groups, and ordered them to motorize France. This was known as the “Pons Plan”. The idea was to structure the industry. Citroën got told to do luxury, and Peugeot and Renault the middle range. There was also Simca and Panhard who had to do the lower end vehicles. The government also introduced new taxes and fiscal measures that pretty much killed off the more expensive vehicles. So whereas brands like Delahaye or Bugatti got killed off, we got cars like the 2CV and the Peugeot 203. Oh the excitement! The result of all this? The idea the world has of a pure French car is the Citroën 2CV, and something like the Bugatti Type 57 is completely forgotten. Talk about government involvement being uncool. It is almost no surprise that today, one of the most successful French cars is a low-cost one. The next fifty years meant that with these fiscal measures, there was no reason for French manufacturers to make luxury cars. Yes cars like the Citroën SM managed to come out, but they were plagued with things like rubbish build quality, bad timing or other problems, that they were never such a big success. Because of this focus on trying to build small cheap cars, we lost our know-how and image. The British kept on with Bentley and Rolls-Royce and look where they are today! Because of the government trying to control everything, we got all these small cars to please the common man, but when it comes to bringing up the image of a country, we have nothing. As a result, when we try to go against the Germans in the luxury car segment, it is always botched up jobs like the Peugeot 607. 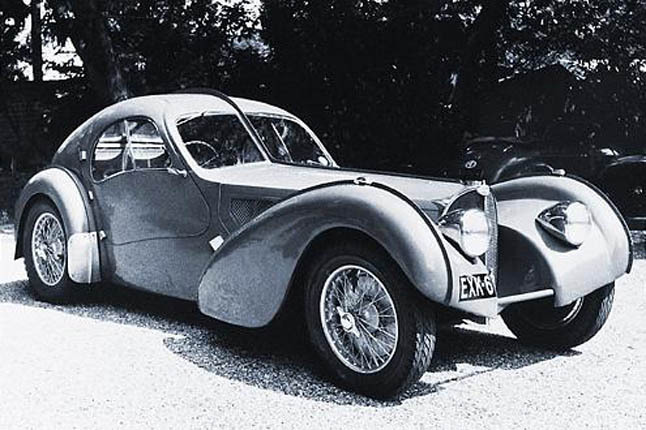 This entry was posted in Auto Industry and tagged bugatti, citroen, dedion-bouton, delage, delahaye, france, hispano-suiza, luxury, peugeot, pons plan, renault, simca. Bookmark the permalink.